CMHC has it’s eye on Vancouver once again. 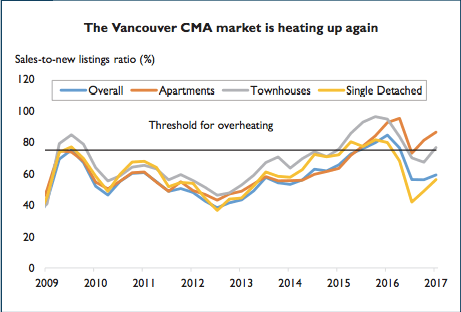 Canada’s National housing agency believes the Vancouver real estate market is showing signs of overheating as per their latest report. Of course if you’ve been reading this blog this would come as no surprise. There’s been a clear divergence between the detached market and the condo market. Both appear to be going in opposite directions. 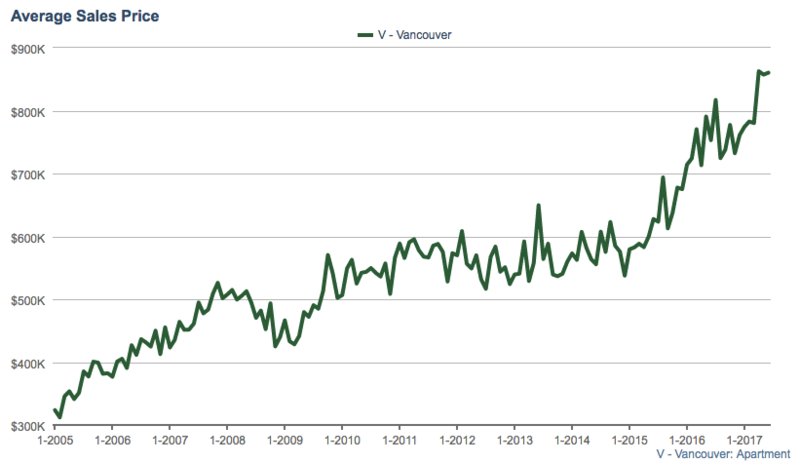 The Vancouver detached market, although having a nice recovery in the spring, has failed to climb back to peak prices. The average sales price is down 8% year over year. Average Sales Price for Vancouver Detached Homes Falls 8% Year over Year. 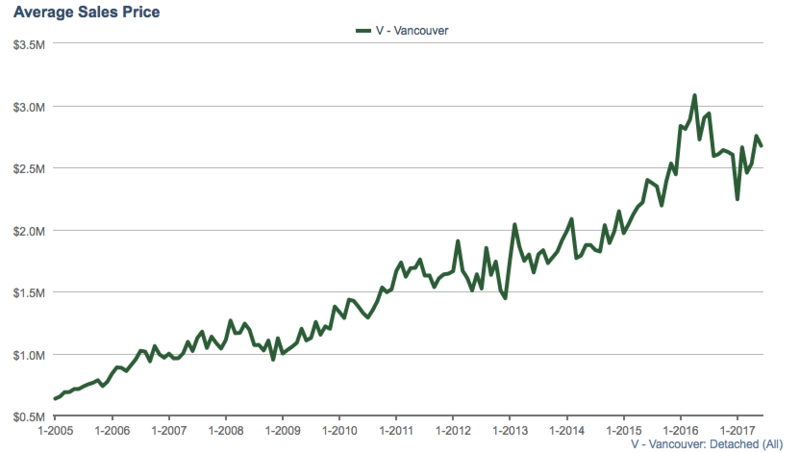 On the other hand, you have the Vancouver condo market which could be reaching peak insanity, the sales to actives ratio recently exceed 200% for one bedroom units. Further, the average sales price is still climbing, up 14% year over year in June. Average sales price for Vancouver Condos surges 14% for June, 2017. The surge in condo prices is hardly surprising after a BC Government first time buyer loan scheme, which CMHC deemed “an ill-advised program” coupled with borrowers bundling mortgages to avoid stress testing.